Decorate your gameroom with a brilliant color, high quality Michigan Wolverines Bar Stool. Our double rung bar stool stands 30" tall with a 14" seat surface. Base is made of 19-gauge chrome plated steel with a 2 x 4 reinforced seat that has a 360 degree swivel top. Logo and background color are screen printed on the underside of clear commercial grade vinyl. With the reversed screen print process, logo and background color will not peel, crack, or scratch off. 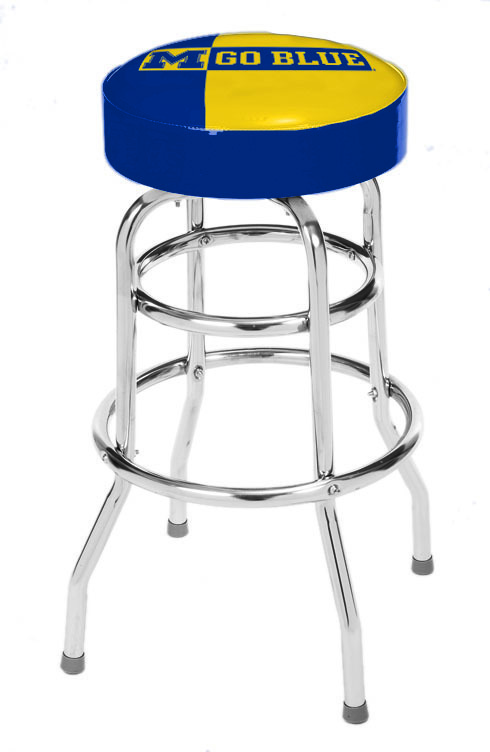 These bar stools are great showcase pieces for any college fanatic gameroom!